Lately, I’ve noticed a chia seed revival around the internet. When I posted my first chia seed pudding recipe a couple of years ago, I thought I was very late to the chia performance, but as it turns out, good food is timeless. Although I’ve posted several chia seed recipes, I figured we’d put this train on slow mo and go waaaay back to the basics…you know, to really drive home how easy this super healthy pudding is. 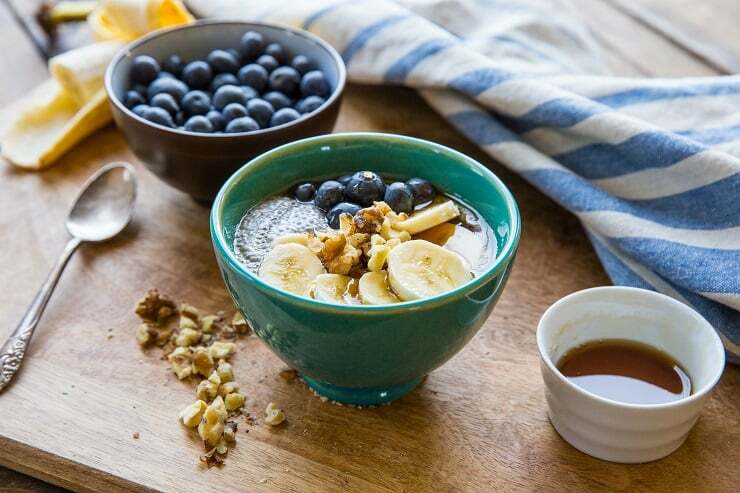 For those of us whose sweet tooth dictates our 98% of our day-to-day behavior, naturally sweet and healthy treats like chia seed pudding are the saving grace of our minds, bodies, and souls. 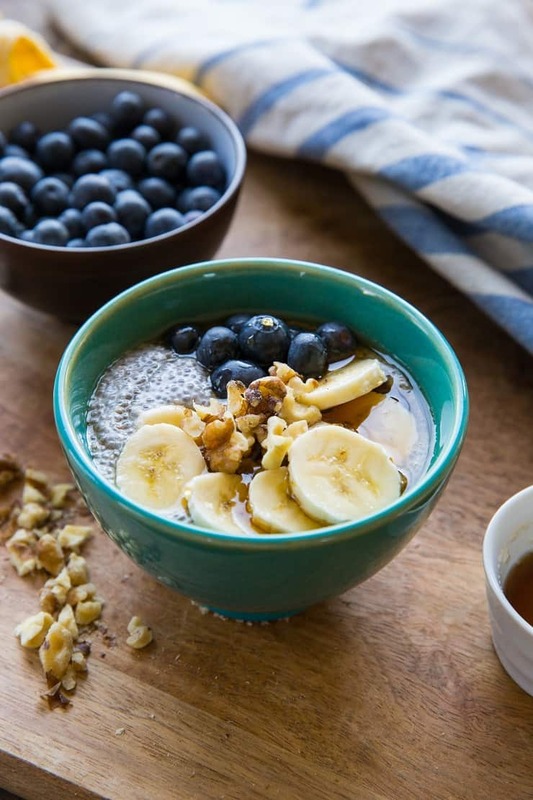 With all those fun facts stated, there’s recent research that suggests all those nutrients wrapped up in chia seeds actually stay trapped inside chia seeds…like your body can’t put them to good use. Chia seeds contain phytate, which is an antinutrient that hinders the absorption of minerals, and the gel that forms around chia seeds when they come in contact with liquid actually makes them near impossible to digest. Does this sell you on chia seed pudding? Regardless of the nutrition debate, chia seed pudding is a healthier option than a pudding made using dairy milk, egg yolks, and cane sugar. And hot damn, it tastes good! We need 3 basic ingredients. 1.) Milk: Any type you like, such as coconut, almond, soy, cow’s, goat’s, hemp, cashew, etc. 2.) Chia Seeds: White or black chia seeds work! And you only need a small amount to make a ton of pudding. 3.) 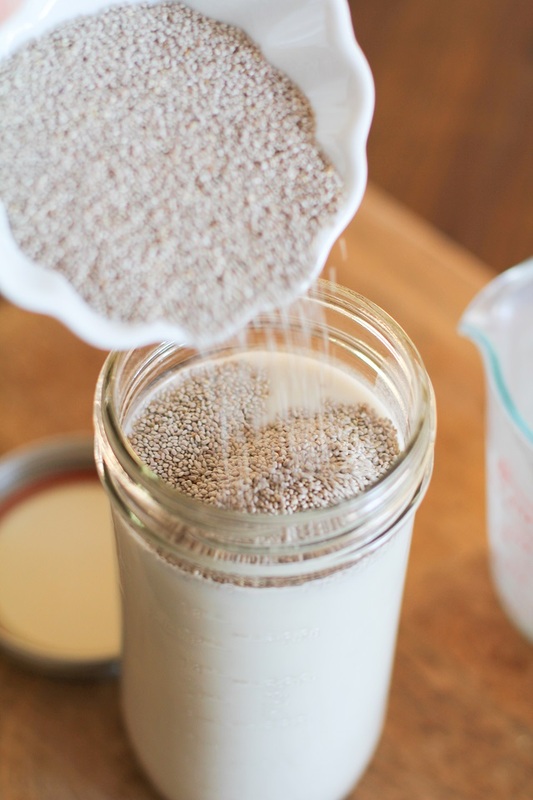 Sweetener: Liquid natural sweeteners are the easiest to work with for chia pudding. Pure maple syrup, agave, and honey taste great! Note: if you use honey, you may need to heat it slightly so that it incorporates into the pudding without clumping up. In addition to the above ingredients, you need a sealable container with an air-tight lid. I like using a big mason jar. 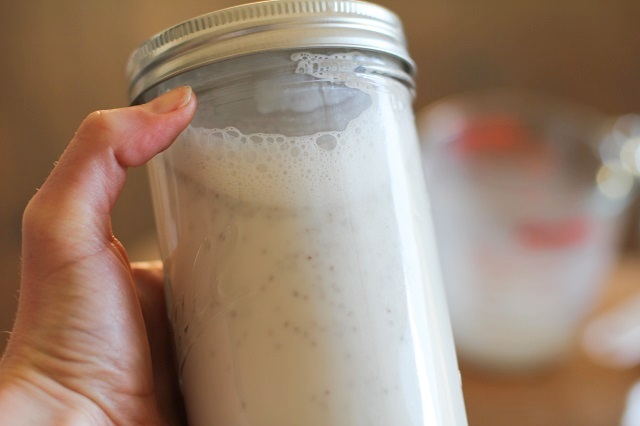 Grab a jar and pour your milk and sweetener of choice into it, along with your chia seeds. I like adding the liquids first, because if you add the chia seeds first, they’ll clump up at the bottom of the jar and will be harder to mix. 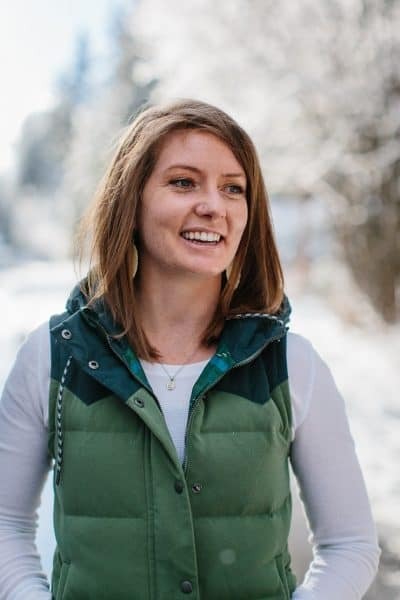 I use 2-½ cups of liquid (almond milk and coconut milk are my favorite), ½ cup of chia seeds, and 3-ish tablespoons of pure maple syrup or agave. Seal that jar tightly and shake it like a polaroid picture. Shake it like a shake weight. Shake it off, T. Swift. I mean, just shake the thing vigorously. Place your jar in the refrigerator overnight. The longer you let the pudding sit, the thicker and creamier it will be, and the softer the chia seeds will be. While you can enjoy the pudding after a few hours, I think it’s best to wait at least 12 hours. Now comes the fun part! Once your pudding has set up, you can enjoy it in so many different ways! Fresh raw fruit: Bananas and blueberries are my favorite because they’re easy to find any time of year, and they’re hard to beat flavor-wise. I also love getting a little tropical when mangoes and pineapples are in season. Check out my Coconut Chia Seed Pudding with mango for example! Raw nuts and seeds: While chia seed pudding already has wonderful poppy texture, I love adding raw nuts. Check out my Maple Walnut Chia Seed Pudding for example. Chocolate: For chocolate chia seed pudding, you’ll need to take an extra step by heating the milk with cacao powder. If you don’t heat the cacao powder with milk first, it will only clump up and won’t become chocolate-y goodness. Check out my Vegan Chocolate Chia Seed Pudding for example! Nut butters: similar to adding chocolate to your chia recipe, you’ll need to heat any nut butters (such as almond, cashew, peanut, etc) with the milk so that it gets incorporated into the pudding without clumpage. Unless you want clumpage, which would be delicious, too. Booze: Making a boozy syrup such as the cinnamon bourbon syrup from my Banana Walnut Waffles post will make an insanely flavorful ah-dult treat. Simply follow the instructions for the boozy syrup from that post and add desired amount to your pudding. Cooked fruit: As you know, I love adding stewed/cooked fruit to my pancakes. You can do the same with chia seed pudding! How about some warm spiced apples? Follow the instructions for the spiced apples from my Apple Cinnamon Pancakes post. 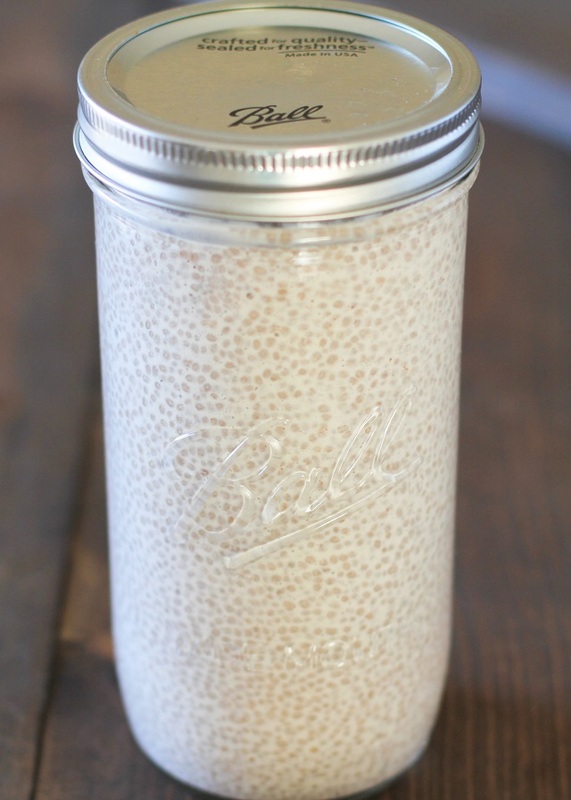 Shake up some chia seed pudding tonight and have it for breakfast AND dessert tomorrow! 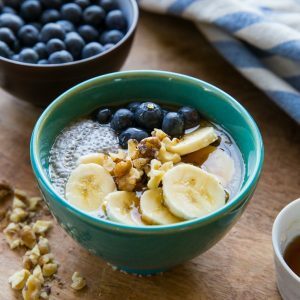 My Favorite Chia Seed Pudding Recipes! If you make this Chia Seed Pudding, please feel free to share a photo and tag @TheRoastedRoot on Instagram! The proof is in the pudding. <- Couldn’t help myself. Delicious vegan paleo chia seed pudding is a simple and healthy dessert! *You can use any non-dairy milk for this recipe. **You can use any liquid sweetener to sweeten your chia seed pudding, such as pure maple syrup, honey, coconut palm syrup, etc. Pour, shake, refrigerate! LOVE how you simplified the magnificently trendy cha-cha-cha-chia pudding here. I could devour about three bowl fulls at this very moment!! I have made chia pudding in the past and let it sit in the refrigerator overnight. When I open the lid to eat it, there is a fishy smell. Do you experience this? Are my seeds old? I keep them in the refrigerator. Suggestions? Hi Bob, I’ve never noticed a fishy smell with chia pudding. I wouldn’t think it would be your seeds, as I’ve kept chia seeds in the pantry for 2 years and haven’t experienced a smell. My only thought could be the pudding absorbed a scent from the jar you used? Jars I’ve used for pickling tend to keep a strong scent, so that would be my best guess. Hope this helps and have a great weekend! I definitely agree that some of us spend 98% of the time guided by a sweet tooth! This looks so easy and versatile – would love to try it out with some stewed rhubarb to get a bit of the ol’ sweet and bitter combo going! I appreciate your sharing the basics for proportions for chia puddings and the instructions for adding cocoa. I really like using chia (I make overnight oats all the time using chia), and agree that the sky is the limit for ways to do it. I would usually add some whey powder to get the nutritional profile to where I want it. 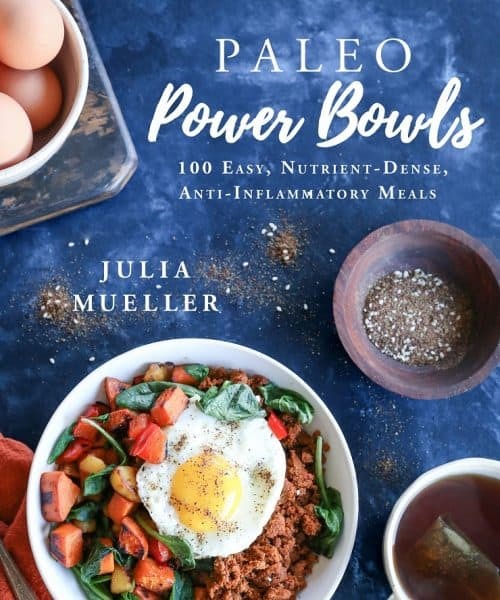 I’ll definitely check out your other chia recipes, too. I never thought to add whey powder, and whipping up overnight chia oats is brilliant! Thanks for the input – I’ll definitely be trying both! Hope you had a great weekend, Susan! Alright, you sold me. where’s that first recipe you mentioned? My wife and I are making it a point to eat at least 1 Tablespoon of chia a day. She is prone to high cholesterol and after 2 weeks it is better already! Our ideal time to let sit is just an hour. We did an overnight but it seems to have more of a crunch after only an hour. We just add in some yogurt to balance the thickness. Amazing food that can really go on anything due to the lack of flavor. Mixing with some chopped fruit makes a quick fruit spread too for pancakes! I eat chia pudding EVERY DAY. It’s my favorite breakfast! I do remember when it got popular a few years ago, but then kind of died down. I’m so glad it’s back again! Me too. Gotta keep a good thing going, right?! So if you blend the chia seeds like you suggest in your whiskey chocolate chia pudding recipe, will that take care of the nutrient absorption quandary? Chia! I’m suffering with this ingredient. While it very healthy i can hardly cook a proper dish with it. Hopefully this chia pudding will be a new hope for me. Thank you for sharing it. i tried to make this last night but the chia seeds did not absorb the liquid. i used whole black chia seeds from Sprouts Farmers market, Silk almond milk and agave. i put the mixture in a mason jar and left it in the fridge for about 10 hours. checked on it this morning and it looked just like it did last night when i made it. Help! what did i do wrong? I actually have had this happen with new Chia seeds. They started to coagulate but seemed to just get stuck together, so they stopped being able to absorb more liquid. I just pulsed it all in my blender a couple times to loosen everything up without actually making the mixture smooth, and then let it sit overnight. It was great in the morning. Hi i just bumped imto tjis recipe, my issue is that my pudding ended up quite solid and not running/soft. I used coconut milk??? I’m sorry the recipe didn’t turn out as expected! Have you tried adding more liquid to get it to soften up? I would recommend adding coconut milk or almond milk in small amounts until the pudding reaches your desired consistency. Hope you have a great weekend! 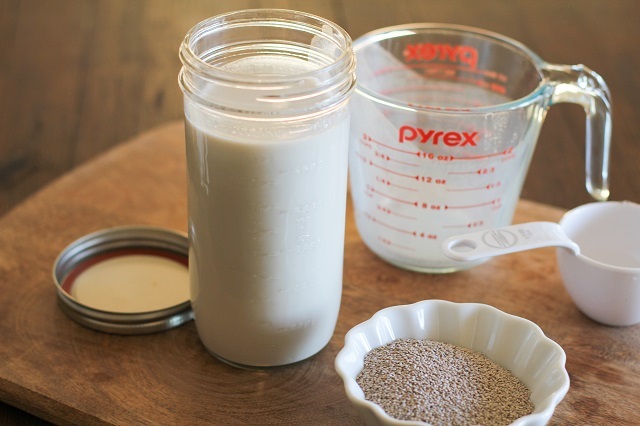 Does it always have to white chia..because i used black ones and there is not change in the milk..its still runny.Also does the milk need to be warmed up while adding the seeds? I’ve tried this a few times and mine doesn’t set and get a pudding like texture. it stays pretty liquidy. Any suggestions? I have been using regular 1%milk. Would that make a difference? I’ve noticed different results using different milks, so I think using regular milk is the issue. I’ve been using almond milk from a carton (like Silk or Almond Breeze), which also contains gums, which I think are what help thicken the pudding. Try using less milk and it should thicken just fine. If you have a batch going right now, you can add more chia seeds (start with 1-2 tablespoons) to help absorb the liquid. I hope that helps! AMAZING! I added a dash of Madagascar vanilla and WOW its sooo good! Is a refrigerator necessary? Leaving it out won’t work? I always refrigerate the chia pudding so it doesn’t acquire bacteria. If you aren’t concerned with that, you can skip the refrigeration, although I wouldn’t recommend it.